Presentation of Chinese version of Dean Santiago Iniguez’ book at Renmin B-School, Beijing. Oct 8. How do you create world-class educational institutions that are academically rigorous and vocationally relevant? How do you combine the best of traditional academia with the modern market to meet the need of both? Are business schools the blueprint for institutions of the future, or an educational experiment gone wrong? How can we develop good managers and entrepreneurs in business schools? 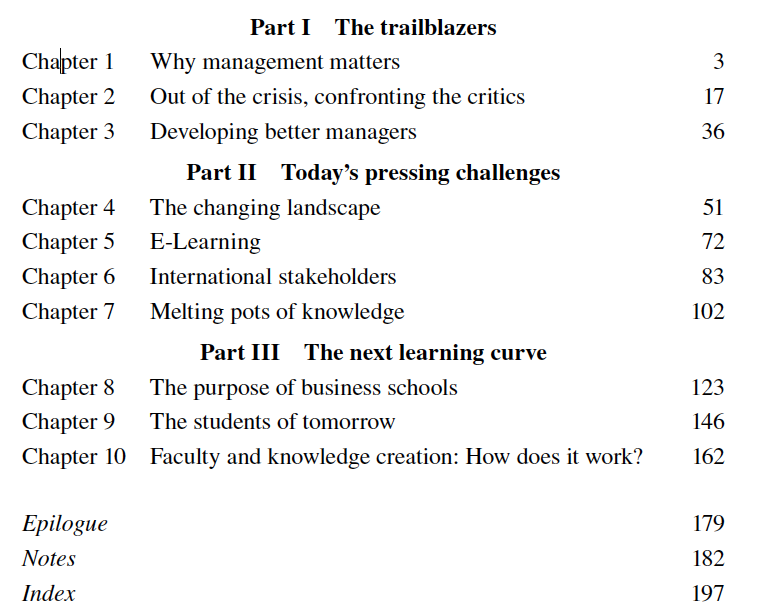 Santiago Iñiguez de Onzoño, president of Spain’s IE University, dean of IE business school and a member of the awarding body of accreditation agency EQUIS, tackles all these questions in his book “The Learning Curve”. To report on all of the author’s answers to these questions would mean to re-create the whole book. Let’s therefore concentrate on what he has to say about business schools as institutions and the question if they are up to the task to develop good managers and entrepreneurs. First of all the author states that “management can still be one of the noblest vocations in the world” since he regards good management as one of the best antidotes to most of the world’s ills. Therefore business schools have to produce managers, and not MBAs. That’s not the same thing, he acknowledges, referring to the critics who claim that business schools attract the wrong people, teach them in the wrong way and produce graduates who are arrogant and overconfident. Iñiguez de Onzoño ponders the criticism, but he still believes that good management and righteous behaviour can be taught, if education is a “personal transformation process”. “Business schools can provide a valuable platform for cultivating a series of virtues such as hard work, endurance, self-organisation, modesty and common sense.” Good managers, though, are forged over the course of their career, based on the repeated practice of the basic skills. The book is called “The Learning Curve” after all and the analogy is valid: in the end good management is the result of continued learning over a period of time. Business school can only be a stepping stone, though, but an important one nevertheless. As a result, Iñiguez de Onzoño believes that business schools should provide a more “integrated and rounded education”. Too much specialization has undesirable consequences, he feels: the “silo syndrome” and a narrowed perspective. 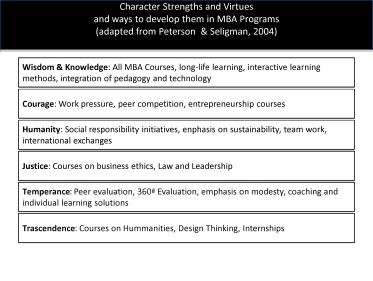 IE Business School already introduced a number of humanities’ courses as core part of the curriculum. The author also supports the idea of INSEAD’s former dean Frank Brown who suggested “refresher” courses to be given every five years after graduation from an MBA. Wharton and Harvard already provide free top-up training to MBA alumni after seven years.”Other business schools will follow suit,” expects the author. Iñiguez de Onzoño’s book is no surprise. He spends his life teaching management at a business school and must believe that good managers can be taught and that business schools are the place to do that. Nevertheless, the book is a worthwhile read. Firstly, he sums up all the challenges for business schools and then, secondly, gives an honest account what he feels must be done to keep schools abreast of the learning curve. If you expect a hands-on report on how to get into a prestigious school and to thrive in it, you will be disappointed. Iñiguez de Onzoño’s book digs far deeper, challenging the future of business education as such, if many universities continue to bow to the commercial interests of the companies that finance their research, if they continue to treat students as “customers” and not as students and if their business schools do not manage to deal with the notion that they foster greed and arrogance.